Keratoconus is a progressive disease affecting the functioning and shape of the cornea. People with keratoconus have corneas that lose their thickness and eventually bulge outward from the eye. As the cornea adopts a conic shape, vision becomes blurred and sensitivity to light increases. Early stage keratoconus typically develops before age 25. Keratoconus can affect one or both eyes, producing different symptoms if both eyes are affected. A doctor of ophthalmology diagnoses keratoconus with eye refraction tests, slit-lamp examinations and corneal mapping technology. In some cases, keratoconus may advance quickly, causing the cornea to swell rapidly and accumulate scar tissue. Corneas impacted by scar tissue lose their smoothness and develop opaqueness similar to the way cataracts cloud vision. Your ophthalmologist will prescribe soft contact lenses or eyeglasses to correct mild vision problems caused by early-stage keratoconus. Rigid gas permeable contacts often replace soft contacts as the disease progresses. Contact lenses accommodating keratoconus must be carefully fitted and checked regularly by your ophthalmologist. Severe cases of keratoconus may require a corneal transplant. Another treatment for keratoconus is the insertion of a curved device called an intac into your cornea. Intacs improve vision by flattening the cornea so the retina receives incoming light more directly. 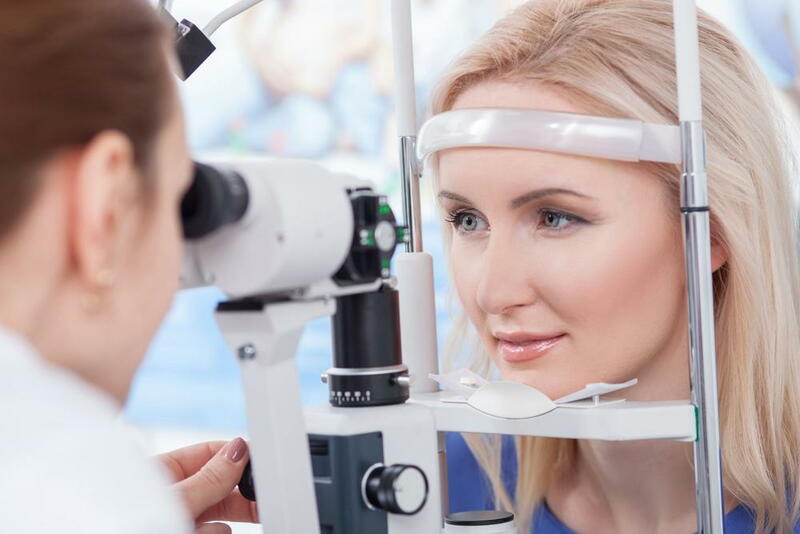 In addition to keratoconus treatment and other eye and visual services, the Laser Center of Coral Gables offers LASIK to reduce or even eliminate your need to wear corrective eyewear. If you are interested in LASIK, schedule an appointment with our LASIK surgeon today by calling (305)461-0003.